Home / Fair Indigo Blog / This Bag is Fully Degradable. Like a Leaf. This Bag Is Fully Degradable. Like a Leaf. Let’s talk about one very unsexy topic of the clothing industry – plastic bags. They are a necessary evil in the world of clothing manufacturing – protecting your garment between our production facility in Peru to your doorstep. We’ve spent years searching for a solution that is a little gentler on the environment, and here it is! Our new polybags are made from the same materials as typical ones – Polyethylene (PE). So they have the same benefits – water and moisture resistance, efficient protection of the product, see-through (a MUST for warehousing purposes), strength. But these polybags contain d2w®, an oxo-biodegradable additive (made from various types of salt) that is added during the production process. While the polybag remains as strong as ever during normal use, it breaks down completely in the natural environment, leaving no plastic remnants behind. Once the additive has done its part to break down the materials, natural bacteria and fungi take over. The bags are 91% biodegraded within 24 months, similar to a leaf, breaking down into water, CO2, and a small amount of biomass. They can still be REUSED and RECYCLED just like any other polybag, where PE recycling is accepted. We also eliminated garment hangtags for this season’s production. 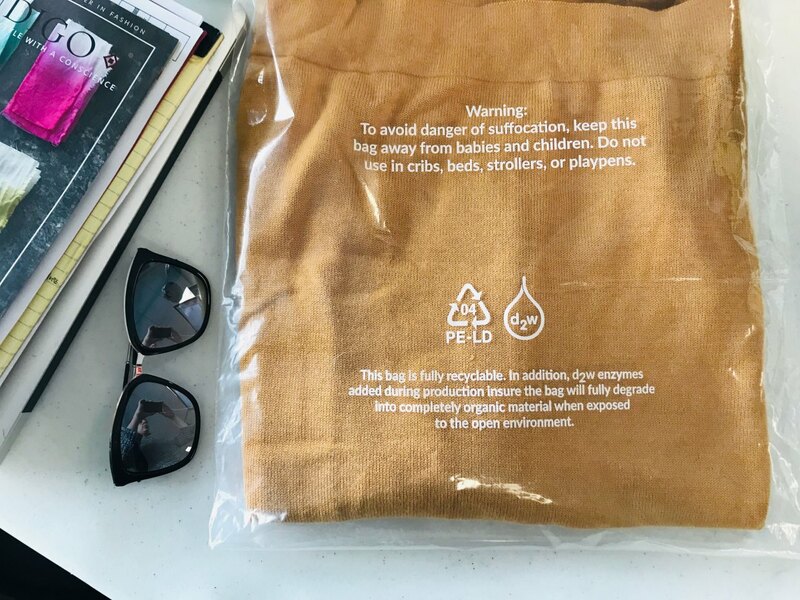 Hangtags are helpful in telling the Fair Indigo story, but we felt it was a waste of resources – and frankly, a waste of time, energy, and labor attaching those little hangtags to every garment. 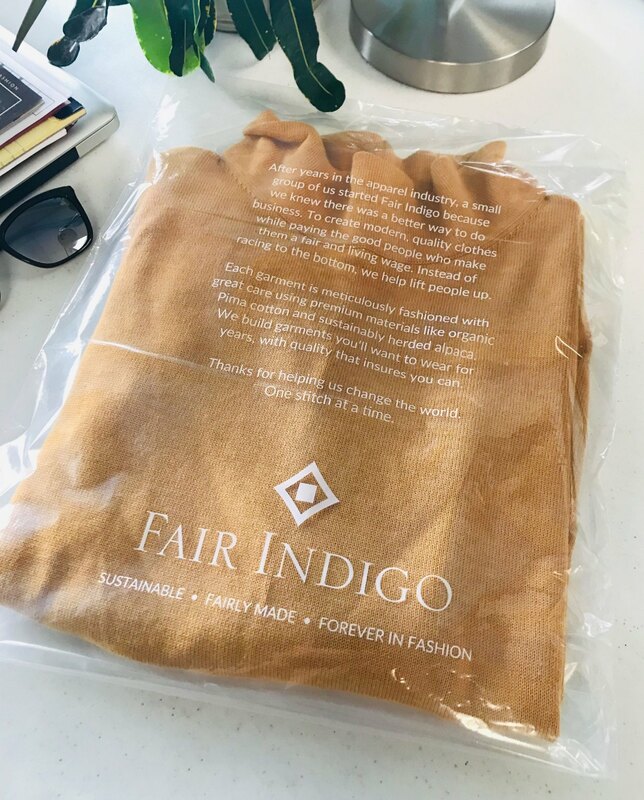 So we decided to print the Fair Indigo story directly on the polybag, keeping our packaging and marketing waste to a minimum. Win-win! 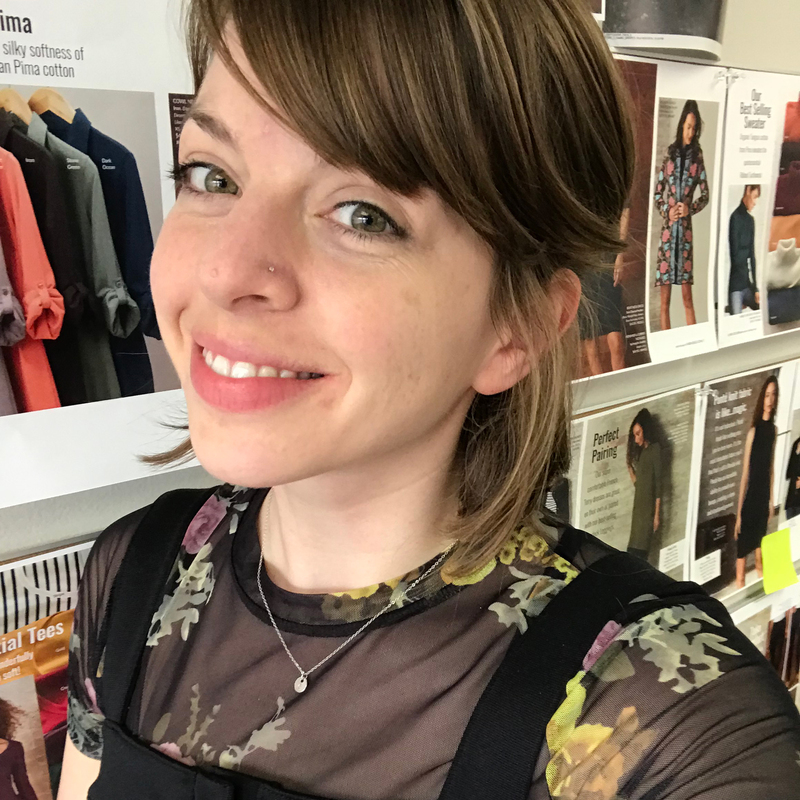 “After years in the apparel industry, a small group of us started Fair Indigo because we knew there was a better way to do business. To create modern, quality clothes while paying the good people who make them a fair and living wage. Instead of racing to the bottom, we help life people up. Each garment is meticulously fashioned with great care using premium materials like organic Pima cotton and sustainably herded alpaca. We build garments you’ll want to wear for years, with quality that ensures you can.